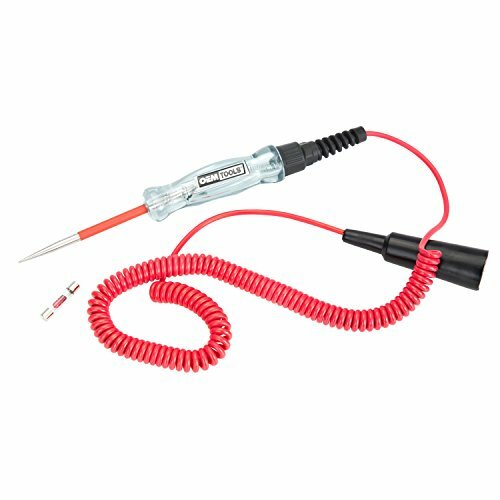 The Power Probe III Circuit tester (Red) with the ability to supply Power or Ground with an indicator tone and bright-white LED headlamps. Features Digital Voltmeter, Min/Max, Audible Circuit Monitoring, 4mm Standard Banana Jack and Auxiliary Ground for component testing. Works with 12 - 24 VDC Systems. Locates the correct circuit breaker or fuse without turning off the power. Simply plug the transmitter into an outlet and trace for the correct breaker at the electrical box. Transmitter also verifies wiring and tests GFCI operation. Bright red and green LEDs indicate if receptacle is correctly wired or will indicate which of the 5 fault conditions exists. Convenient storage position for transmitter/receptacle tester. Complete with Receiver, GFCI Transmitter, and 9V battery. 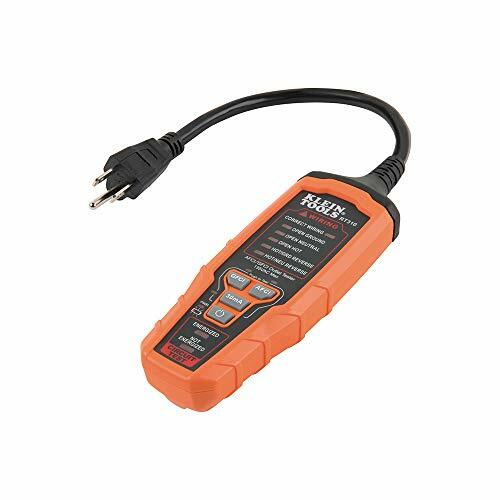 Jastool professional digital Circuit 3-48V Tester Designed for car electrical circuits,automotive battery, battery charging systems,ignition systems,which is a must have tool for any automotive engineer ,electronic engineer or circuits DIY . *3-48v widely use for circuits test. *.1 Accuracy voltage reading on white Backlit digital display. *.Made with sharp stainless steel probe for piercing wires, for hard to reach areas. *.Constructed with acetate fiber, high toughness and shatter-proof. 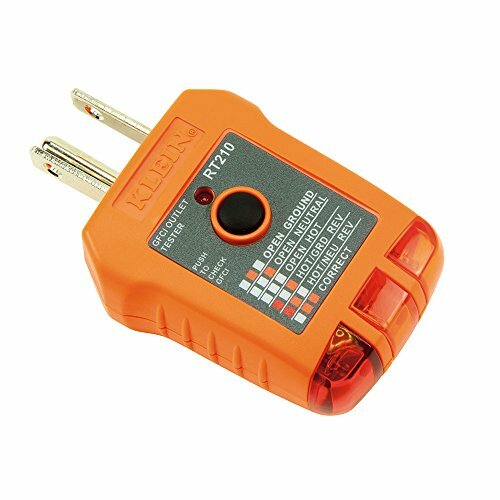 This is a negative mode one-way current circuit tester,when do measuring please attach the clamp to the grounding or negative pole. Safety is the number one priority on any job site. Sperry Instrument's testing equipment can be put to good use ensuring that electrical equipment is properly installed and safe to operate. The condition of electrical installations can be established when contractors use test equipment. Any test unit that can be used to measure or review an application without coming in contact with a live conductor is a necessity. Testing equipment can be put to good use ensuring that electrical equipment is properly installed and safe to operate. Faulty installations can be lethal; the condition of electrical installations can be established when contractors use test equipment. Sperry Instrument is pleased to offer an innovative full feature line of test equipment designed to make electrical work faster and safer. The Ground Fault Receptacle Tester and Circuit Analyzer tests ground fault receptacles by overloading circuit and tripping the GFCI. 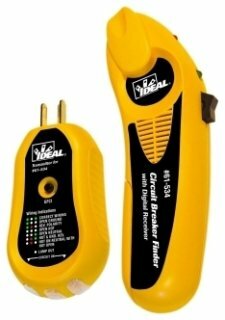 This Wire Tracer and Circuit Tester - including a sender and a detector - is designed to identify and trace wires or cables without damaging the insulation. Connect two alligator clips to the ends of the wire to check if resistance exists. If yes, the wire could be a short or open circuit. You can use the Wire Tracer function to locate the problem. By sending a signal down the wire being tested, you can trace the wire with the detector probe. An audible tone will increase in volume as the probe gets closer to the wire. Even when you have a bundle of wires, you can still find the wire you wish to trace with the help of the volume knob. For telephone lines, the Wire Tracer and Circuit Tester can identify Tip and Ring lines and determine the status of the line - clear, busy, or ringing - making it more convenient to maintain telephone lines. Note: Do NOT connect to a DC circuit exceeding 42 volts or an AC circuit exceeding 24 volts. NO RISK - One-year warranty and friendly customer service! 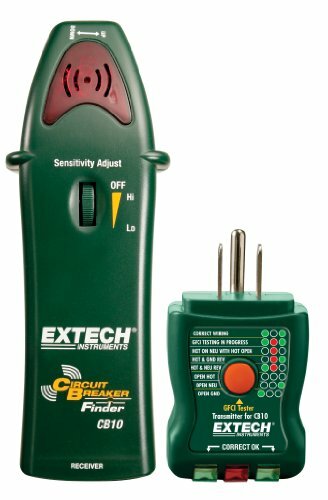 Quickly, accurately, and automatically find the corresponding circuit breaker of any 120V standard electrical outlet with this digital circuit breaker finder. The flashing arrow indicator lets you quickly identify when you've got a hit. The strong transmitter reaches up to 1000 feet. The auto power-off feature saves battery life and gives you one less thing to worry about. 90 - 120V operation. Microprocessor controlled for more reliable identification. Does not require interruption of service; power can be left on. Auto power-off feature saves battery life. Accessory kit (Cat. No. 69411, sold separately) includes light socket adapter and alligator clip assembly. For more than 160 years, Klein Tools has manufactured premium-quality, professional-grade hand tools that deliver the performance, durability and precision needed to get the job done right. Our family of engineers, workers and craftsman continue to put six generations of expertise into every tool we create by using only the highest quality materials, superior workmanship, and keeping manufacturing as close to home as we can. Klein isn't just the name of our company, it's also our family name. And since we're an American company that's family-owned and family-run, you know you can count on us to be here tomorrow. Klein Tools doesn't just make great products, we make great products that stand up to the demands of the professionals who use them every day ... Since 1857. 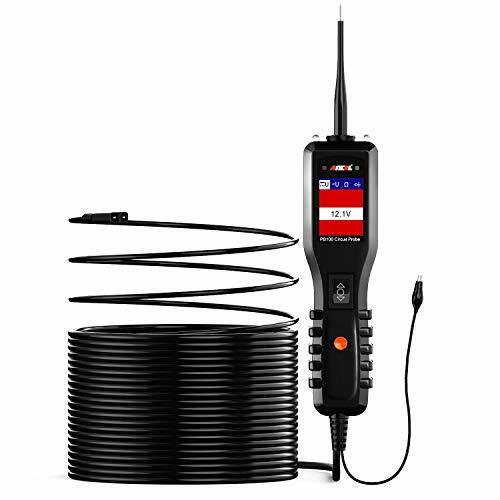 Warranty: Klein electronic test and measurement devices (and accessories), manufactured and sold for commercial or industrial uses, are warranted to be free from defects in materials and workmanship for two years from the date of purchase (unless otherwise noted on the product packaging). 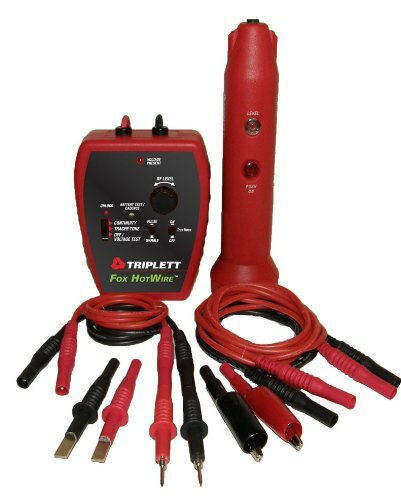 TRIPLETT, live wire tracing Kit with true trace technology. Trace wires up to 1000ft in Length and 3 feet underground with adjustable sensitivity and Tone. Tracer has built-in noise filter and LED head. 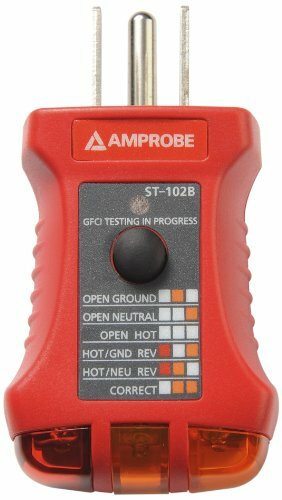 Wide Compatibility - PB100 circuit tester is a fast and efficient electrical scanning probe, works on all 12-24v Sources, like cars, boats, trailers, fuel pumps, relays, and more. 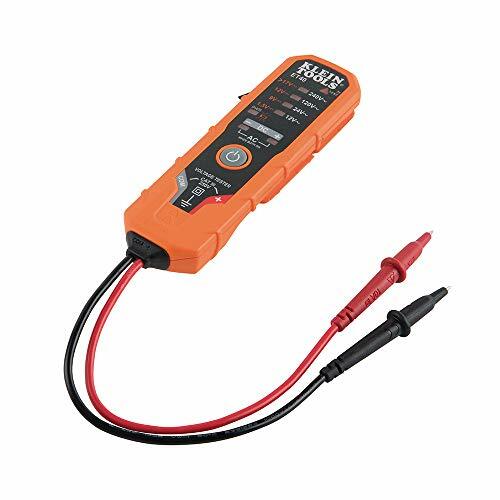 Multi-Functional - Designed for Voltage & Polarity testing, Continuity testing, Signal Circuit testing, supplies Power/Activating Components, Trailer Lights & Connections testing, red/green Polarity LED, follows & Locates Short Circuits, and checks bad Ground contacts. Four Working Modes - A Large Color backlit LCD Screen with easy to navigate user menu allows reading DC Voltage, AC voltage, Resistance and Diode parameters very clear. A quick self-testing is a must before to test a circuit or component, ensure your tool is in excellent condition. 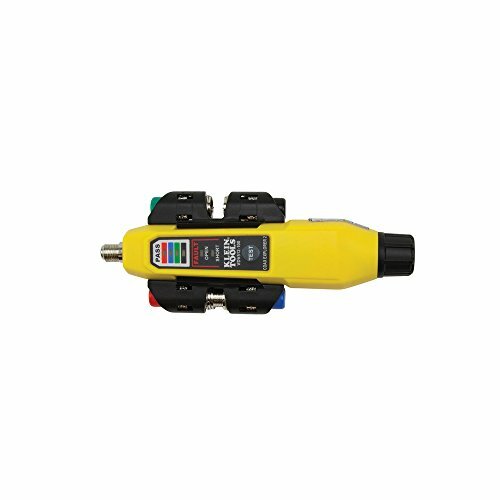 Durable and Safety - An auto circuit breaker makes this tool very safe and sustainable; Its short-circuit protected as well as a safety measure to protect the device from overload. This unit housed in rugged and with a very friendly user interface, even a beginner can easily use it without the manual. Built-in two headlights allow you to work in the dark area; Flexible 20 feet extension cord allows reaching wires in or out of the vehicle or some congested places - three-year manufacturer warranty. Function: 1.Wire tracking(able to track wires with exchanger,router n or off). Phone network line engineering;computer network engineering;Other metal wire line engineering. Easy to operate and smooth appearance. A Cool Yule Tool. Fix holiday lights with a squeeze of a trigger. The Light Keeper PRO is the complete tool for fixing miniature light sets! A must for Christmas time. This all-in-one tool fixes most light sets in seconds by addressing the damaged bulb at the plug or at the socket. The LED Head Light helps visibility in light repair. The Audible Continuity Detector traces the circuit to the point of interruption. The 3-way bulb puller helps release tight bulbs from their sockets. The Bulb & Fuse Tester tests both indoor and outdoor mini lights. There is a spare bulb compartment in the handle for storage of extra bulbs and fuses. Three (3) 1.5-Volt Batteries are included. Patent pending. The trigger send a pulse that will activate a defective shunt; This fixes the circuit allowing the current to flow. Simply plug your Light Keeper PRO into the light set, pull the trigger and a pulse goes to the bulb, fixes the shunt and allows the light set to work correctly. The light keeper pro is not intended with led, rope or light set/sets with control boxes. Two Different Power Source, Worry-Free Powered via the vehicle by connected to battery cigarette lighter or battery electrode. LCD Screen Display, Easy to Read Indicated Test Results A Large color LCD screen, can display all the test result, save your time on diagnose car electrical problems. Head Lights & Audio Tone, Make It Possible to Work in the Dark Built-in front LED flashlight , allow to work in the dark environment. Audio tone indicator allows for no-look menu scrolling once users are familiar with menu tone assignment. Circuit Breaker Protection Technology Ability to Power Up Components. Automatically shut-off if current exceeds 5 Amperes, it design to protect an electrical circuit from damage caused by over current, typically resulting from an overload or short circuit. Warm Note: This probe is very sharp on the pointed end, easily to get hurt. Better to be more careful when performing. 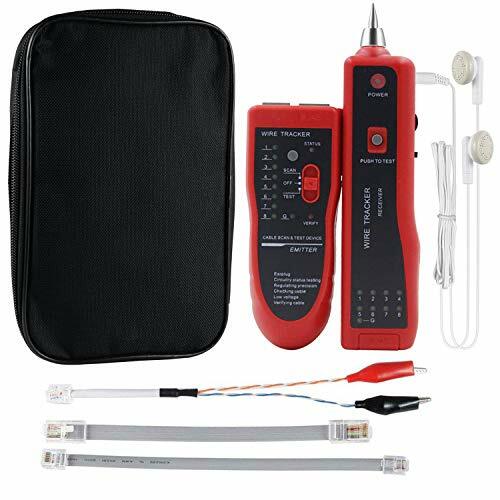 KZYEE KM10 power scan kit is the most revolutionary circuit tester, which performs each type of service, including power injection and measurement, ground testing, polarity checking, continuity testing and components activating, etc. Enables to accurately diagnose the DC Voltage, AC Voltage, Resistance and Diode of the 12v-24v electrical systems by merely pressing the mode button. Having the ability to power up the components, such as cooling fans, starters, relays, windows, washers and so on. Powered by the car battery or cigarette lighter, no additional battery or wires pulling needed. 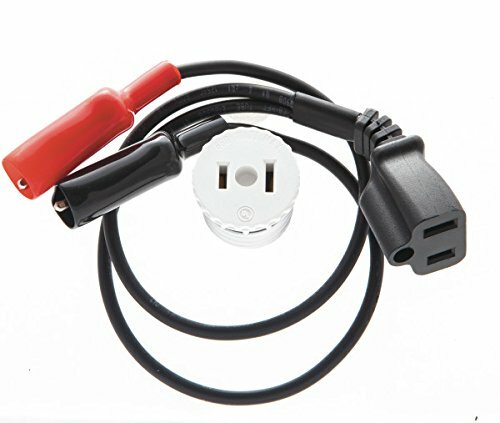 Provides 20ft extension cable for you to reach all around your vehicles, trucks, and trailers (12V-24V). Also, the built-in flashlight is bright enough to light up your work area. 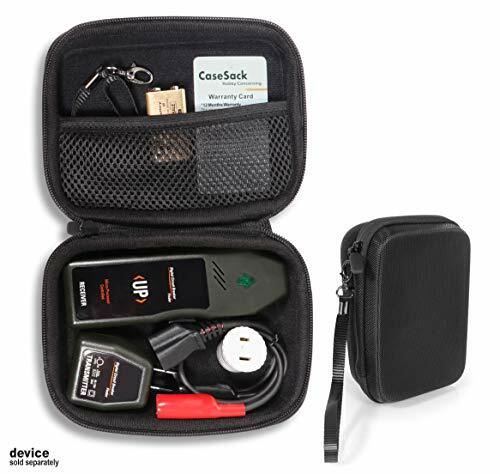 Knows how to test for bad ground contacts instantly, tracking and locating shorts fast without losing fuses. What's more, it is circuit breaker protected, which is a safer measure to protect the tool from overload. 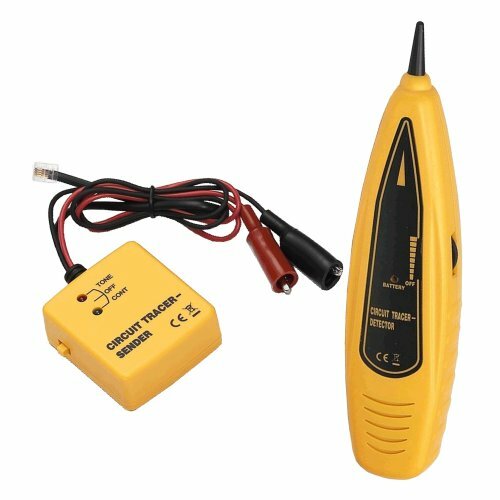 6V/12V/24V Automotive Circuit Tester Voltage Tester Long Probe Tester for Low Voltage Systems, Cars, Live Wires, Fuses. The automotive circuit tester is specially designed to detect the low-voltage circuit fault of transportation machinery, such as automobiles, motorcycles, bulldozers roller, excavators and so on. 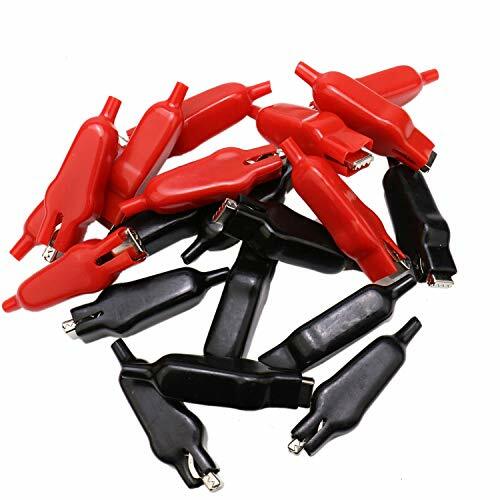 The automotive circuit tester can help us find out whether there is a problem in the motorcycle, thus we can solve the problem in time to avoid potential danger. 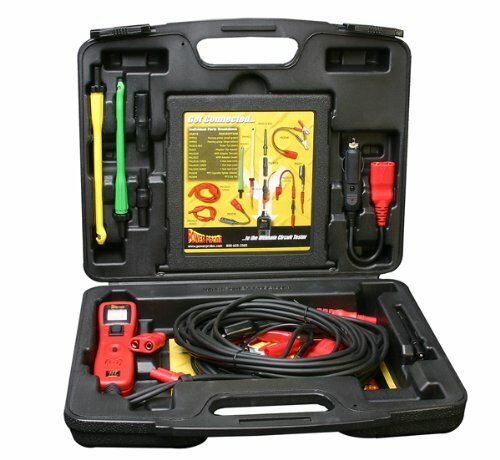 As one of automotive tools , our circuit tester is durable and precise. More than this, it is also ideal for testing circuits for shorts around the house, fuses. INDICATOR LIGHT: Unique long-life Light Emitting Diode will not generate heat when working, which makes you using it comfortably and safely. The circuit tester is equipped with two light emitting diodes, which can be replaced by unscrewing the metal cap on the top of the pen. TEST LEAD: With great flexibility, rang and freedom, Innovative elastic test lead has good tensile capacity, you can stretch when using and then it will automatically retracts. 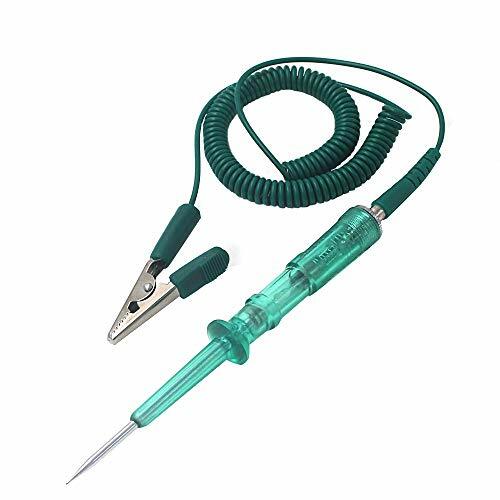 LONG PROBE: Sharp steel probe can reach into fuse boxes or easily pierce wire insulation to check circuitry so you can keep your hands safe from any harmful material. ALLIGATOR CLIP: The voltage tester with heavy duty ground clip and insulator allows you to quickly and easily check the circuit while ensuring your safety. GREAT TEST PENCIL: Lightweight, compact structure, with pen clip, easy to carry and use. Used to check electrical circuits and accessories on all 6V/12V/24V systems. Material: Pvc+ Size: Approx 8cm/3.15 inches long. Color: Black, Red. Quantity: 20Pcs. Material: Made by premium quality pvc and metal, safe and durable for your daily use. Features: Current: 20A(Max). Each clip is equipped with incredibly strong spring loaded jaws that never fall off once they're clamped down. 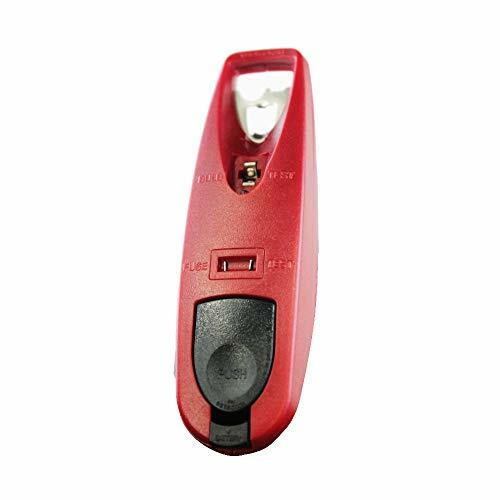 Application: It is suitable for charging batteries or connecting the circuits. Widely used for various electrical projects, voltage testers. What You Get: Come with 20 pieces clip. Each measures approx 8cm/3.15 inches long. Why do you need a cable testing tool? Need to trace cat5 cable and coaxial cable? Need to identify and label the network cables of your house? Need to figure out where a jack is terminated? Need to do FiOS repair? What makes our wire tracing tool special? 1; This cable tracking system is a multifunctional handhold network tester. It supports wide application with reinforced cable types and multiple functions. 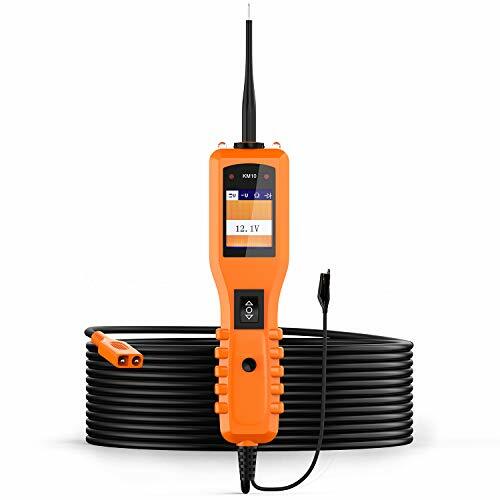 The wire tracer and tracker is a necessary testing tool kit for telecommunication engineering, wiring engineering and network maintenance person. 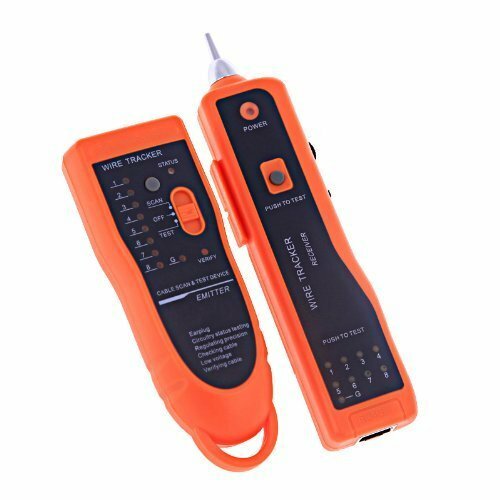 2; This RJ11 RJ45 telephone line tester also fit for your daily life, such as telephone line cable testing, network cable tracing, TV cable and other weak current electric wires. So if you are looking for one super wire tracer and tracker, this one will be completely suit for you! 3; Portable and easy to carry. 4; Easy to operate and smooth appearance. 6; Light touch switch,saving energy and power. 8.; Indicator and sound reminding. 9; Quick or slow,volume adjustable. 10; Headset to fit the noisy environment. The Klein Tools IR07 is a dual IR (infrared) thermometer and probe thermometer. This rugged pocket thermometer measures temperature from -40 to 572 degrees fahrenheiht (-40 to 300 degrees Celsius) for both IR and probe measurements. The IR thermometer has a distance-to-spot ratio of 8: 1 and the target laser can also be used as a laser pointer. The probe accurately measures air, liquid and surface temps and has a convenient hook for hands free indoor measurements. The IR07 quickly calculates Differential temperature (T1-T2) and has a backlit LCD for easy viewing in low light. Pocket thermometer takes both IR and probe measurements. Infrared thermometer measure surface temperature (DS ratio 8: 1). 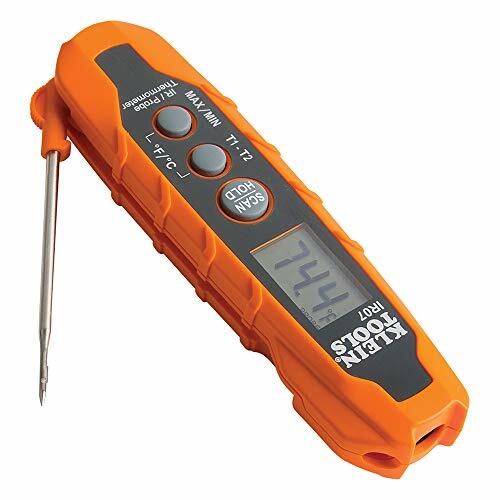 has backlit display and calculates Differential temp (T1-T2). quickly calculates Differential temperature (T1-T2) for both IR and probe temperatures. Easy-open probe with nub to prevent temperature transfer while opening. Backlit display with hold, max/min, Apo, and low battery functions. Includes a pouch, owners manual, and 2 x AAA batteries. Stainless steel probe is FDA Gras compliant. Certified to IEC EN 61326-1: 2013; en61326-2-3: 2013. For more than 160 years, Klein Tools has manufactured premium-quality, professional-grade hand tools that deliver the performance, durability and precision needed to get the job done right. Our family of engineers, workers and Craftsman continue to put six generations of expertise into every tool we create by using only the highest quality materials, superior workmanship, and keeping manufacturing as close to home as we can. Klein isn't just the name of our Company, it's also our family name. And since we're an American Company that's family-owned and family-run, you know you can count on us to be here tomorrow. Klein Tools doesn't just make great products, we make great products that stand up to the demands of the professionals who use them every day... Since 1857. Powerful features: one button design, easy to use, phone calls and control music play by one button. deal for in car calling and friends chatting, or working use. Super mini design: suitable for both ears, mini design make you comfortable and protect your ears when using, Smaller and More Invisible. BLUETOOTH 5.0 & EDR TECHNOLOGY- Compatible with all Bluetooth-enabled devices. 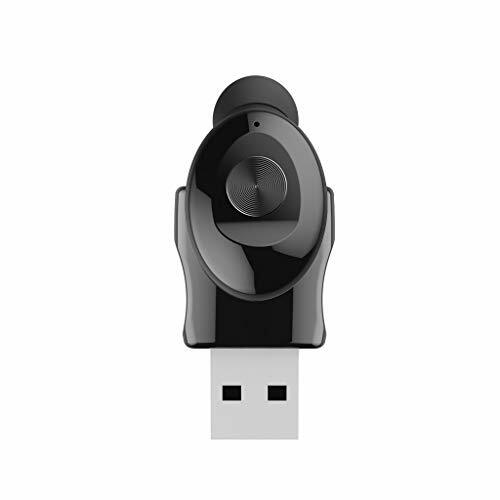 Instantly connected to your smartphone or tablet from up to 33 feet away 10M). Bluetooth 5.0+EDR: Bluetooth 5.0+EDR technology, Instantly connected to your smartphone or tablet from up to 33 feet away 10M). Compatible with all the bluetooth enabled devices, including iPhone XS MAX XR X/8 PLUS/ 8, iPhone 7 6S 6 Plus, , Samsung Galaxy S10 S10plus 9 S7 note 8 s9 plus note 9 j7 prime s7 edge, Huawei, iPad, Bluetooth-enabled Tablets tablets, computer, watch, MP4, speaker ect. Comfortable Sports Earphone Design: According to ergonomics, deeply fit the ear canal to make the ear more comfortable and prevent falling,Make it become the best workout Bluetooth headphones,Great for walking, Jogging, Hiking, Biking, Gym and some other activity.Extremely light weight to ensure your headphones stay firmly in place and improve the experience on sports. Super Clear Sound Quality: Built-in HD and Sensitivity microphone, the hands free headset is ideal for in car calling and friends chatting, or working use. This best headset owns better echo cancellation, noise suppression and stable signal.Excellent sound quality and clear volume make it ideal for being a good gaming headset, allowing users to use it to get good results in mobile games. 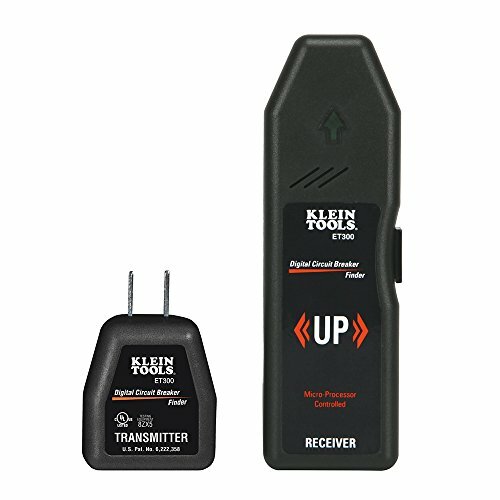 The Klein Tools ET310 is a digital circuit Breaker Finder used to locate the correct circuit Breaker in a panel to which an electrical outlet or fixture is connected. The transmitter is connected to the electrical outlet or fixture in the circuit while the receiver is used to scan the breakers in the circuit panel. 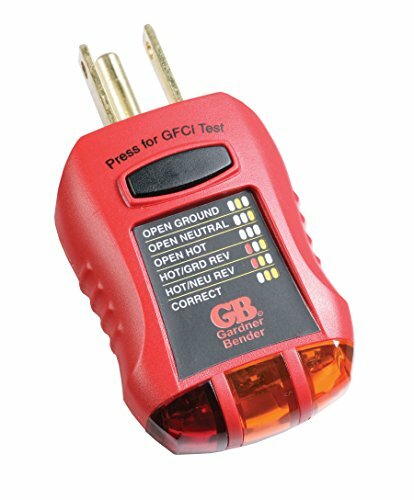 The transmitter also features a GFCI outlet tester. Accurately locate the correct circuit Breaker in a panel. Tester consists of two parts: a transmitter and a receiver. Receiver indicates correct breakers visually and audibly. Transmitter docks in the receiver for convenient storage as a single item when tester is not is use. Transmitter incorporates a Three-pin Plug for connecting to north-american-style grounded electrical outlets. The transmitter may be connected. The transmitter may be connected to other electrical fixtures using optional accessories which are sold separately (Cat. No. 69411). receiver powers off automatically after approximately three minutes of non-use to conserve battery life. Transmitter is powered by the circuit when connected to the electrical outlet or fixture. Low battery indicator. Easily accessible battery compartment. Uses one 9V battery in receiver only; transmitter does not require a battery. Built to withstand a 6.6-Foot (2 m) drop. Cat II 120V safety rating. Measurement category II is applicable to test and measuring circuits connected directly to utilization points (socket outlets and similar points) of the low-voltage mains installation. Includes transmitter, receiver, user manual, and 9V battery (for receiver). for more than 160 years, Klein Tools has manufactured premium-quality, professional-grade hand tools that deliver the performance, durability and precision needed to get the job done right. Our family of engineers, workers and Craftsman continue to put six generations of expertise into every tool we create by using only the highest quality materials, superior workmanship, and keeping manufacturing as close to home as we can. Klein isn't just the name of our Company, it's also our family name. And since we're an American Company that's family-owned and family-run, you know you can count on us to be here tomorrow. Klein Tools doesn't just make great products, we make great products that stand up to the demands of the professionals who use them every day... Since 1857. 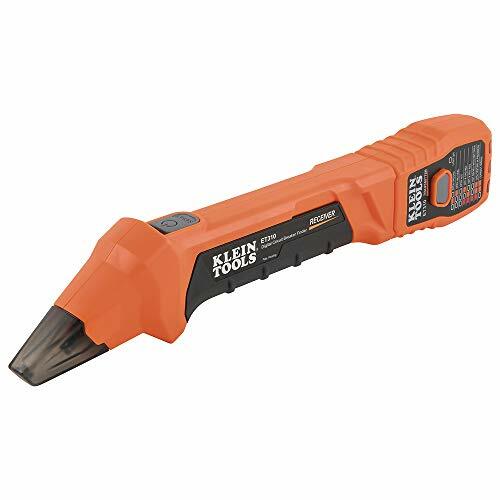 Klein Tools ET40 is an Electronic AC/DC Voltage Tester. It features indicators for positive and negative DC polarity, and tests DC voltages as low as 1.5V. It tests AC voltages 12-240VAC. Excellent for checking, verifying or troubleshooting common residential electrical wiring in electrical outlets, light fixtures, doorbells and more. It operates on 2x AAA batteries. Tests voltages for AC at four useful levels: from 12V to 240V AC. Tests voltages for DC at 1.5V to >17- 24V, at four useful levels. Identifies and distinguishes between AC or DC voltage. Powers off automatically after approximately 2 minutes of non-use to conserve battery life. CATIII 250V, Class 2, Double insulation. Ingress protection IP41 dust and water resistant. Built-in test lead holders on sides of tester. Low battery indicator with easily accessible battery compartment. Pocket clip secures tester to pocket for reliable everyday carrying. Uses 2 x AAA batteries (included). Identifies and distinguishes between AC or DC voltage. For more than 160 years, Klein Tools has manufactured premium-quality, professional-grade hand tools that deliver the performance, durability and precision needed to get the job done right. Our family of engineers, workers and craftsman continue to put six generations of expertise into every tool we create by using only the highest quality materials, superior workmanship, and keeping manufacturing as close to home as we can. Klein isn't just the name of our company, it's also our family name. And since we're an American company that's family-owned and family-run, you know you can count on us to be here tomorrow. Klein Tools doesn't just make great products, we make great products that stand up to the demands of the professionals who use them every day ... Since 1857.